I do live near the city of Berkeley so I had try a bit of tye dye. Yes, all you do need is love. As I found out the dog ate the cookies while I was away at work. They were sitting on the counter far from the edge. 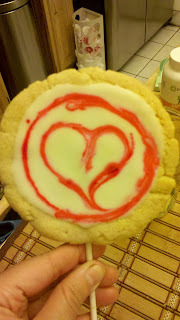 I guess the smell of a sugar cookie was too hard to resist. He had to swipe the off the counter. I had a weird suspicion something was up when I walked through the door and he was running around the sofa like a speed demon. 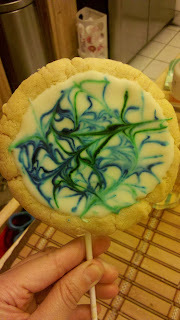 After further investigation, I find some crumbs and the lollipop sticks upstairs. Silly Dog. I guess it was punishment for making him wear this the night before. 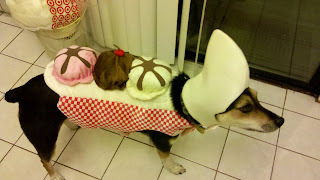 He's a banana split for Halloween. Look! Doesn't he look excited?? Ha ha ha. Question: What do you do with a garden full of tomatoes? Give up?? You preserve them! 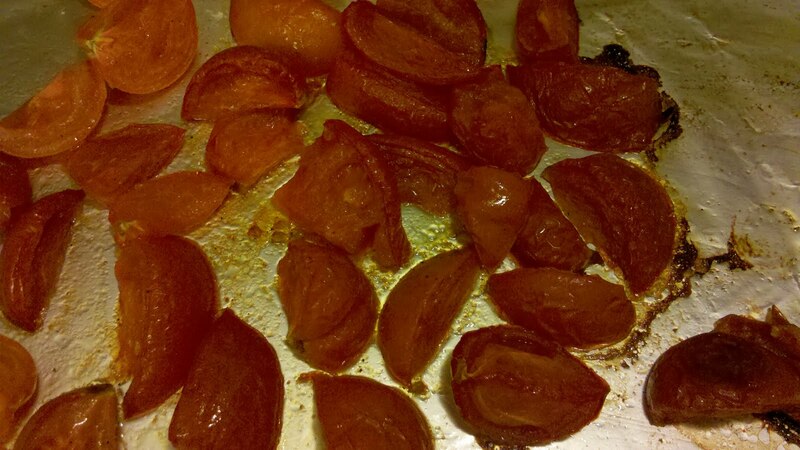 I decided to take a stab of freezing roasted tomatoes. Here is my lovely photo of the tomatoes fresh out of the oven. Bagged and ready for another day. Also here are a few of the tomatoes from the garden. With the wonky weather here in California. 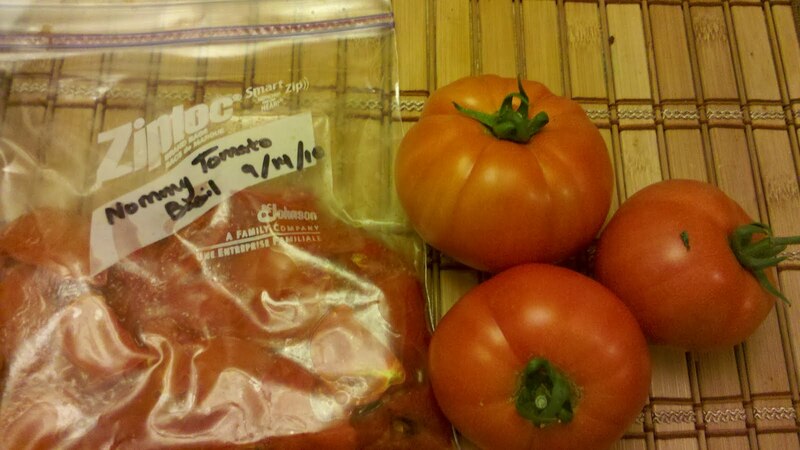 The tomatoes are late coming in. Of course, I gotta leave you with a photo of the yummy food in action. 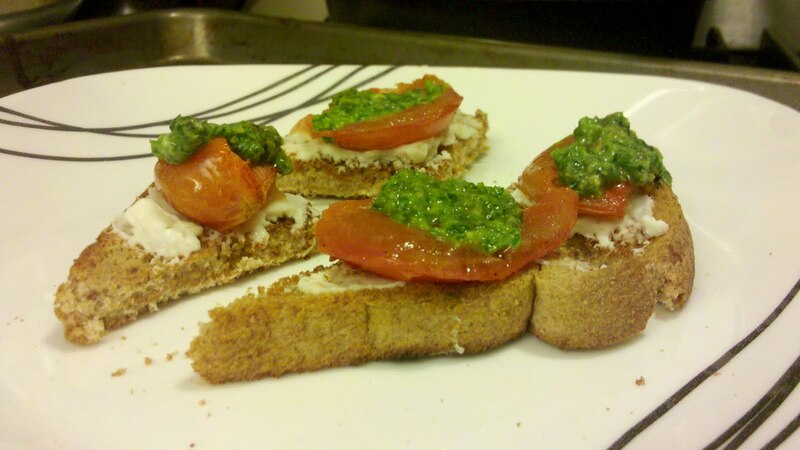 Toasted bread with cheese, topped with a roasted tomato and homemade pesto. I made an abundance of pesto sauce. I threw them in an ice cube tray and froze them for later. 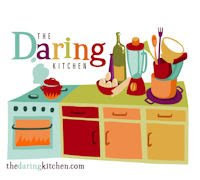 Another food preservation win! This month's challenge, I decided to put a bit of my own twist on this challenge. Instead of the traditional perogi filled with cheese, potatoes, and bacon. I used ingredients from my garden. Photo on the left: Zucchini and with ground turkey. Photo on the right: Chinese green chives with baked tofu. I guess you can called these Chinese pierogies. 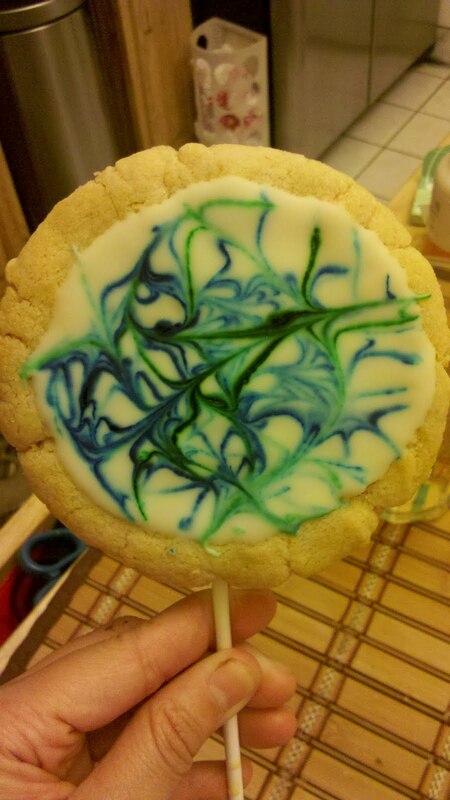 These were quite tasty. Husband was quite thrilled with them too. I made so many, I have a freezer full of them now. Perfect for days when I don't feel like cooking.